If you haven’t been sleeping very well, perhaps one issue is that your room isn’t dark enough. If you are able to achieve total darkness in your room, you’ll likely get a better night of sleep. 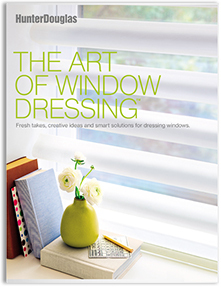 And if you’ve been wishing for it, now might be the time to find new window fashions—ones that will give you beauty, energy efficiency, and perfect light control. Speak with a trained consultant at Windows & More in Osage Beach today. LightLock is a set of unique U-shaped side channels that overlap the front and back of Duette Honeycomb shades to trap light from all angles and provide a room with total darkness. The channels are available in three sleek finishes: Gardenia White, Aspen White, and Bronze. You are sure to find the perfect finish to coordinate with any room design. LightLock is available in all ¾” Duette Honeycomb Shades and is compatible with Hunter Douglas PowerView® Motorization, which allows for easy control via the PowerView App or with voice-activation through Google Assistant or Amazon Alexa. Duette Honeycomb Shades are time-tested window treatments that keep you warmer in the winter and cooler in the summer. Honeycomb shades are made with two or more layers of pleated fabric that form a honeycomb-shaped cell that traps air and provides an extra layer of insulation at the window. These fashionable shades really do save on your energy bills.